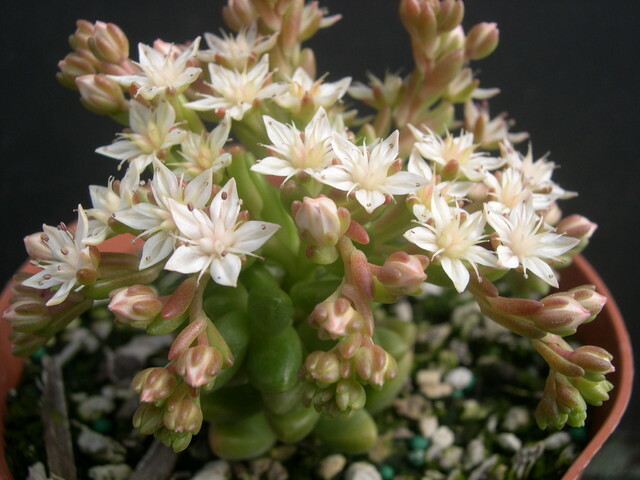 Sedum 'China Doll' was a recently named and described Sedum in the October issue of The Sedum Society newsletter. Flower buds are white with pink lines. The clasping sepals are quite succulent.